Thanks for watching! Hope you all enjoy the video, and remember to follow @Brorowcarwiz on Instagram! 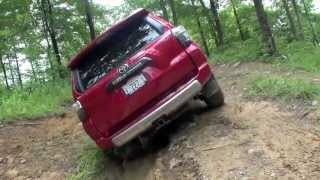 Which one is more reliable Gx460 or 4runner? What the crap is wrong with copyright infringement? 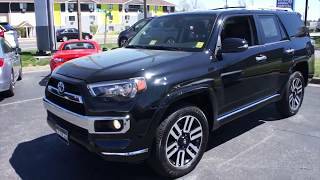 have you test drove a 2018 4runner? 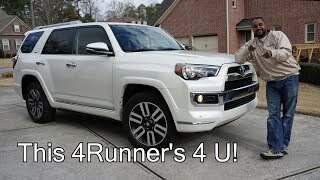 Can you do another drive for the 4Runner? How is the JBL sound system? 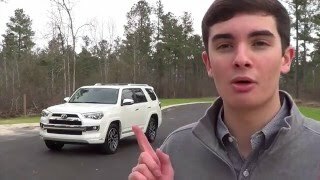 Can you do another drive of the 4Runner? A little loud on the highway no? 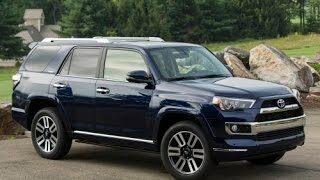 My aunt has a 2017 TOYOTA 4RUNNER XP in Barcelona red with Black leather interior. It has XM radio with JBL ENTUNE audio system, automatic windows on all four doors, no push button ignition but it does have the regular key to start the vehicle. It's a beautiful automobile. She bought it at Prince Toyota in Tifton, Georgia. 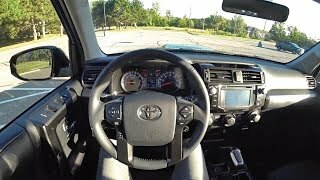 How is the engine noise when you semi hit the gas compared to that of highlander? hey can you do an eco mode video ? does the limited 4 runner come with TV ? any major issues you encountered yet? How many miles does it have now? Why would you get a 4x2 (Rear Wheel Drive) model? Really defeats the purpose owning an SUV, even if you never go off road. 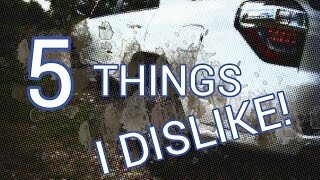 Not entirely-- unnecessary 4WD adds unnecessary weight which reduces fuel economy and increases wear and tear, including replacing tires faster etc. 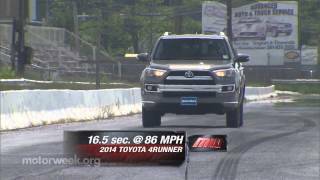 This is a pavement princess and Toyota offers a cheaper version for that reason. 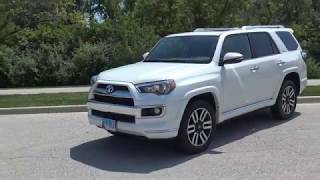 We bought a 4Runner for its space afforded and ride height among other reasons. 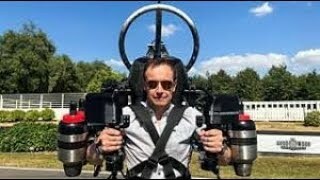 Love videos like this! Please do more! 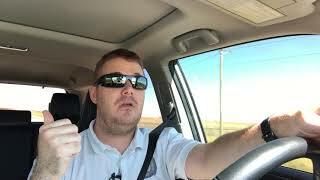 This is a great video, but FOR THE LOVE OF GOD, PLEASE shoulder check, and hold the wheel at 10/2 instead of at 9 only. And when reversing, put your hand around your passenger seat and look out the rear window. 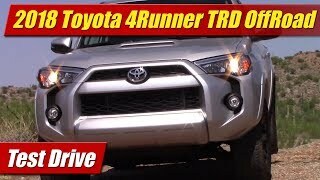 Wouldn't want that shiny limited 4Runner to have a dented bumper. It's a great video, but I got so nervous watching you drive. Thanks for the driving instructions, Connor. You must head up Volvo's teen driver program. Thanks for the drive man. Looking to get one early next year. Been driving my 2000 Camry and it has 225k on it. Reliability with Toyota has sold me. I just want something more for my money's worth that I can do a little of everything with. I'm unable to haul or tow anything with my Camry. The only issue I worry is when I have to take my 70 year old mom in it if she can get in it with bad knees without much issue. She is also short. 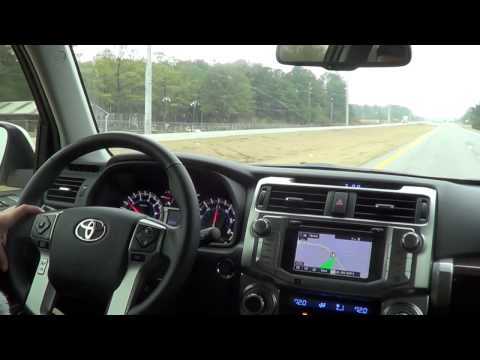 She is also sensitive to tipsy feeling vehicles and when I drove the Trd so far it didn't feel that way. She had an Acura MDX 2012 and liked it a lot. Running boards may help your mom get in and out of the 4Runner, but if you're taller you may think they're obtrusive. Thanks for watching! 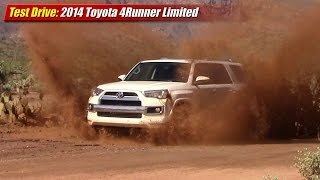 Loved the test drive I have been trying to find a detailed test drive of the new 4Runner and you did that thanks!! At about 1:45, it seems like there's a lot of cabin noise. Is that just the camera or is it sort of noisy? my friend in his 07 toyota sequoia didn't use his back up camera...priceless. 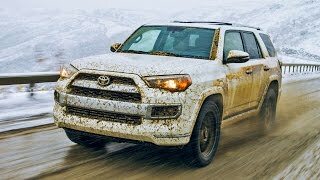 I have my eyes on the newly refreshed 4Runner. I had a beautifully kept low mileage 97 Limited that I loved, but I lost it to a deer :( . 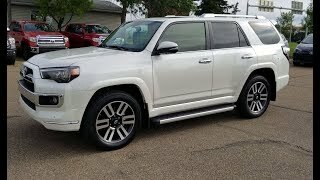 I then purchased a 2013 Legacy Limited sedan with every possible option, while I love the Harman/Kardon sound system and the 30 mpg, I have been wanting another 4Runner badly. 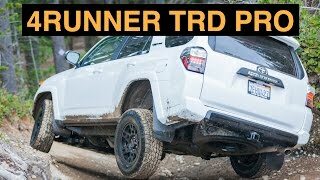 Initially I wanted the Trail Premium for the Part Time 4WD system, but seeing power running boards, cooled seats, dual climate, and the JBL synthesis sound system, i'm thinking I can deal with the limited trim's full time 4X4. 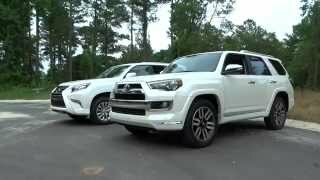 My father just purchased a 2016 Tacoma TRD Sport, and it is pretty awesome. The new 3.5 liter V6 has lots of grunt, and a nice tune, and he is averaging 19 mpg mixed with only 1,100 miles on the vehicle. Great review! Its cool to see another young guy like myself that has a passion and knowledge of vehicles. Keep it up! +Driven2012 Thanks for the kind words! 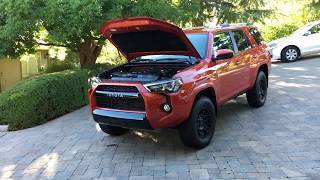 Rumor has it '17 will host big changes for the 4Runner, likely that V6 out of the Tacoma. No reason why a kid in high school needs this kind of vehicle. And from what i saw in the lot many of those cars aren't needed for a high school kid.